Can't believe this thread is still running, only popped in to borrow the pic links but thought they may have been ruined by photobucket. IDI Engine / Re: 1.6 ip help please! Doesn't matter what the timing is set to - it'll still inject. 155s will run fine at 95. Check the solenoid has power and if you can, feed the pump from an elevated or pressurised supply, it sounds very much like a fuel supply issue. 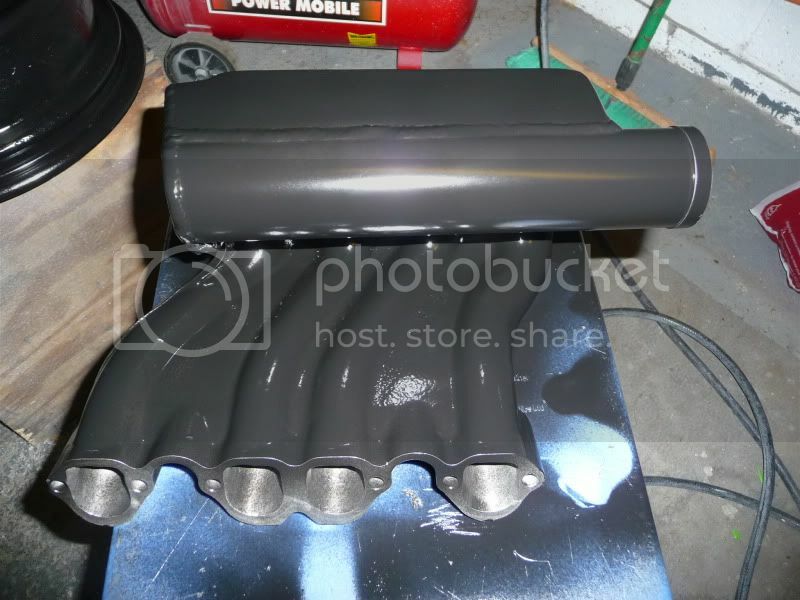 IDI Engine / Re: Changing intercooler plastic end tanks? Yes you can swap end tanks, exactly as you suggest, bend back the tabs and fit the new end with a sealant - I've used tiger seal/sikaflex/rhino seal in the past. Though buying a suitable alloy intercooler may provide a better solution. wont be compression if it runs cleanly once started...if compression was down it'll still start but blow white smoke for a few minutes. Curveball here - but check that the fuel solenoid is still getting 12v when you turn the key from run to start position - the switch can go faulty and you loose the feed to the solenoid on the last 'click' of the key. Or hook it up direct to battery with a temporary wire - you will have to remove the wire to stop the engine though. When you get it started - does it smoke white or run and idle clean? The fuel solenoid is a round thing with a single electrical connection on the diesel pump just above where the injector lines fit to the injection pump. It needs to have a 12v feed at all times for the pump to inject diesel. A single wire from battery positive to the spade on the fuel solenoid will eliminate a possible common fault. Likewise check you have 12v on the glow plugs as mentioned above but a gtd will normally start with no glow plugs working but chuck out clouds of white smoke before it starts and for up to 30 seconds once it does start. IDI Engine / Re: HOW is it possible for these to flow any better than a stock TD piece? There's a lot of BS spoken about these on the net - just because they are attached to an engine that makes a lot of power, they must be good. I believed the hype until I saw one for real and thought that's little improvement on the old TD manifold. I'll stick to the 1Y manifold thanks. I bought 25 from my local bearing stockist - for less than £5. This was 3-4 years ago, had no reported failures. The main pump head o-ring seal it's 68mm O.D. with a 2.5mm wall isn't it? Not sure if 60 is the ID or OD??? Always up for a challenge, a mate sent me his series 1 revcounter to convert to run on the W terminal on a diesel engine. I've got it callibrated pretty close, it reads a little low below 1K but then is good round to 7000. Parts for Sale/Wanted / For sale, VNT controller actuator? 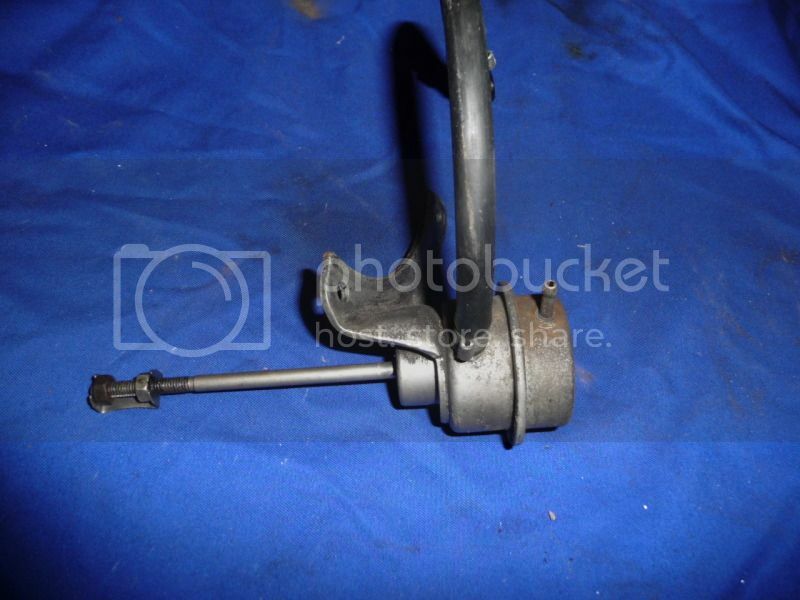 I've got a wastegate actuator can from a uk AAZ engine here. It has a port on both sides of the diaphragm - would be useful for VNT control? IDI Engine / Re: Slight overheating - pump timing? no, not pegged the gauge as in maxxed out. After a few times doing this the coolant would be getting low and the overheating would get progressively worse, I never let it get into the red. Is this the 1.6 block / 1.9 head engine you mentioned in another thread ? IDI Engine / Re: ultimate-ish 1.6td build? If there is one piece of advice I really regret taking from this forum it's the BS spouted about the 1.9 head. It'll run like a sack of plop and be useless as a daily. 90a high output alt - it's load on the motor will only be proportional to he electrical load placed on it - there is no real difference in practice. I'm running 155bar injectors instead of the 135s the pump had originally. Internally the pump is spot on, the engine has just been rebuilt and the cam timing is bang on. I was turning the motor on the cam pulley so that would equate to a small difference. It is definitely running hot though - the previous 1.6 engine pegged the gauge at a fraction under the halfway mark. The 1.9 is fine until you start to push it. I've bought a performance rad and new low temp fan switch - hopefully that will keep it in check. I used a small grinding disc to put a chamfer on the leading edge of the cracked piece to prevent it from gouging into the cam retainer caps. I checked the pump timing and surprisingly it was not a bit retarded as assumed but running 1.20 lift, I knocked it back to factory 0.95 setting and it struggled to start, coughing and spluttering even with cold advance pulled. I've set it back to around 1.2 again.